Please, do not forget to rate it!! NOTE: The plugin requires PHP 5.3+ to work. - Fixed issue about the new Twitter APIs. 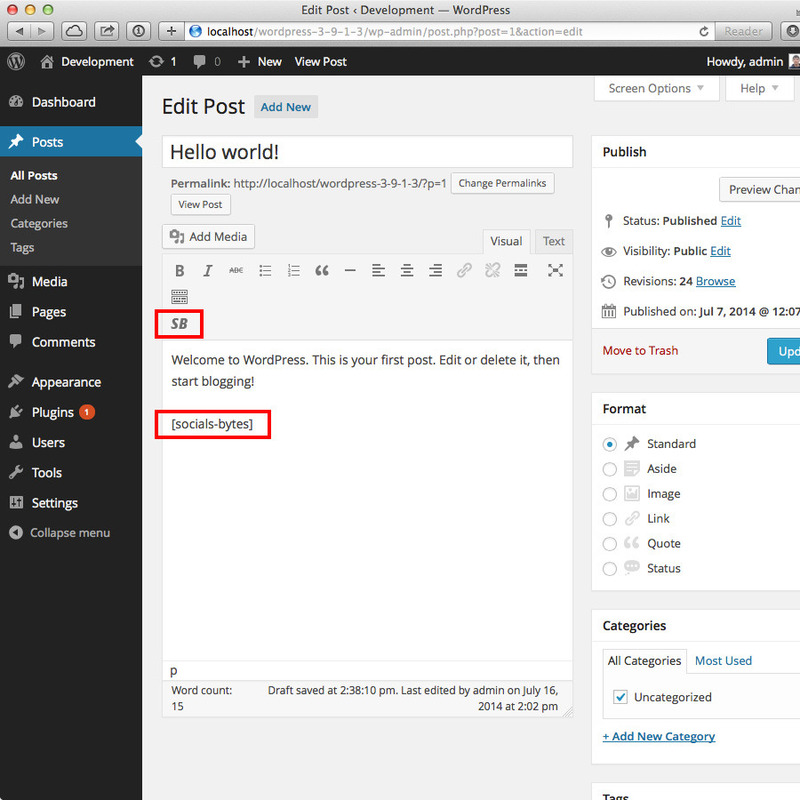 - All social network APIs have been updated. 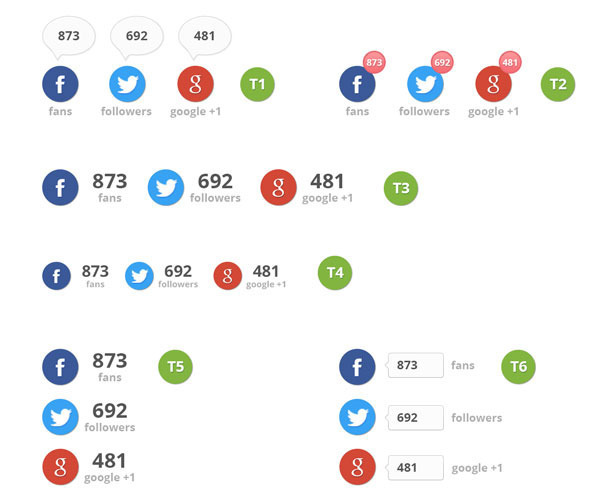 - Added support for +1 count about google plus pages. - Removed shortcode generator page and added shortcode settings page. 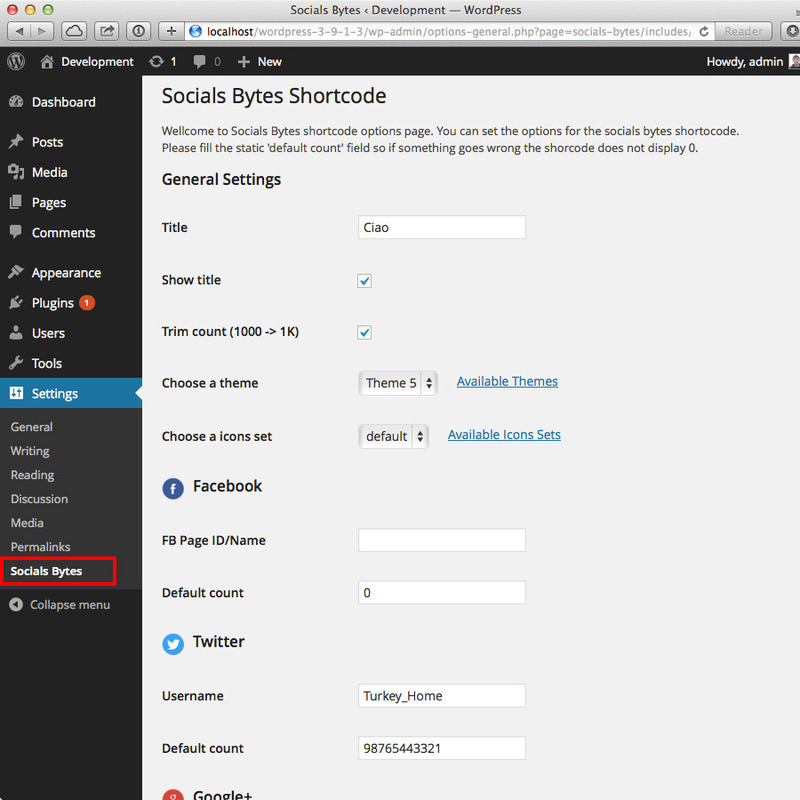 - Added Socials Bytes shortcode button inside posts editor. - Ability to choose icon set for widget and shortcode. - 2 icons sets available: flat set and default set. - Ability to enable or disable the trim count feature. - Added support for Instagram network. - Added support for Retina displays.